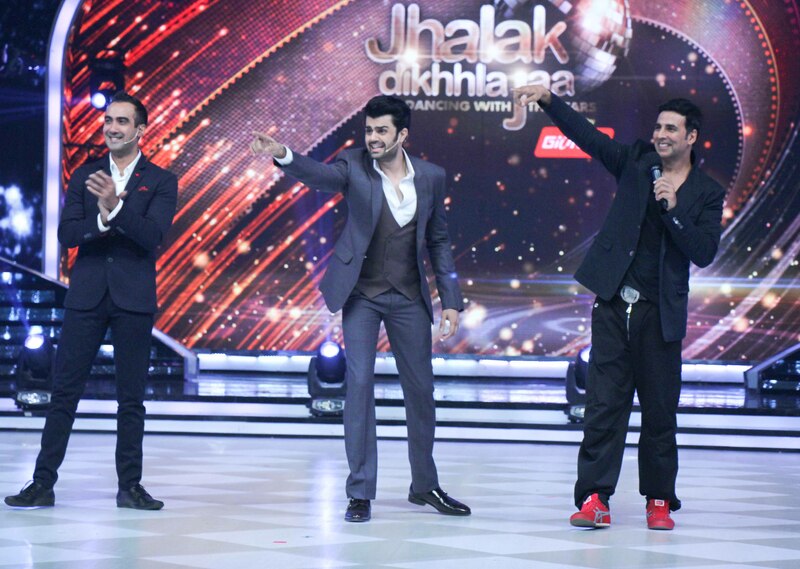 TV audiences will be enthralled as Akshay Kumar promotes Entertainment on Jhalak Dikhhla Jaa. 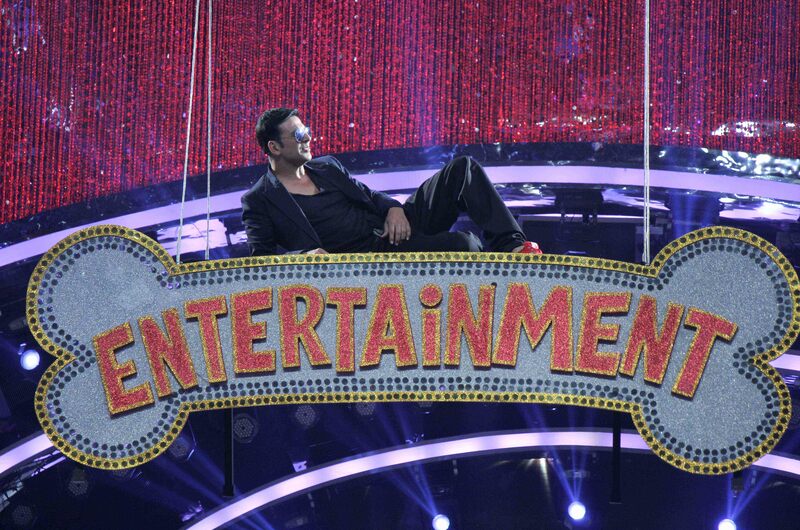 Bollywood khiladi Akshay Kumar promoted his upcoming movie ‘Entertainment’ on the sets of the television dance reality show ‘Jhalak Dikhhla Jaa’. The actor joined judges Remo D’souza, Madhuri Dixit and Karan Johar on July 29, 2014. The ‘Boss’ actor looked his stylish best in an black look topped of with bright sporty shoes. 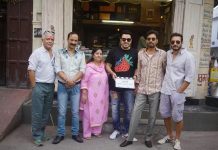 The movie ‘Entertainment’ is produced by Ramesh Taurani and Jayantilal Gada and is directed by Sajid-Farhad. Entertainment also features Krushna Abhishek, Tamannaah Bhatia, Johnny Lever, Mithun Chakraborthy, Prakash Raj and Sonu Sood. Pre-release fun fact: the movie gets its name – ‘Entertainment’ – from the character of a dog in the film. The flick is all set to be released on August 8, 2014.